THE STORY - A terminally ill teenager and a 19-year old hypochondriac help each other achieve their dreams and face their fears. THE GOOD - Seldom character moments that are endearing. Ken Jeong and Briana Venskus are quite funny in their brief roles. Maisie Williams brings some nice energy to the film. THE BAD - Bland filmmaking, a pedestrian script, Butterfield’s deadpan delivery, most of the characters are underdeveloped and it has pacing issues. The subject of death, and how one copes with that in life, is a widespread topic that has inspired countless stories. There is always something inherently fascinating about the notion of being cognizant of our own mortality, and exploring those confrontational themes can be quite an interesting endeavor. Still, it being a rich topic does mean that much similar territory has been mined before, and it takes an assured hand to be able to deliver something that feels unique. Sadly, this film does not feel like it diverges from the many paths that similar stories have laid out before it. 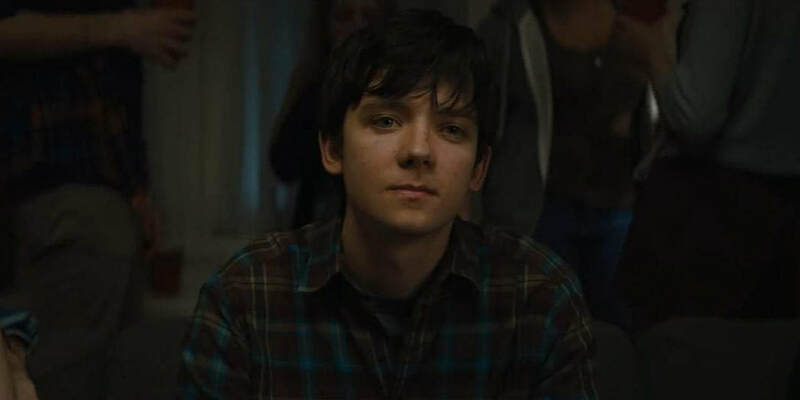 The film tells the story of the aspiring friendship between Calvin (Asa Butterfield), a hypochondriac who is wasting much of his early life away in a meaningless job and isolated existence, and Skye (Maisie Williams), a free-spirited teenager who is dealing with her advanced cancer diagnosis. After meeting at a support group, Skye implores Calvin to help her complete several items on her bucket list. In return, she helps to goad him out of his reclusive state and to open up more. Their friendship is tested often, but the life lessons they attempt to learn from each other are taken to heart. The film is well-intentioned on all fronts, but director Peter Hutchings never quite breaks out of a filmmaking approach that feels quite bland and pedestrian. Every scene is executed with little flair and often leads to a rushed pace in many instances. The overall look of the film evokes a quality that is a bit unremarkable, leading to a forgettable essence the film evokes. There are some seldom character moments that are nicely crafted, but it can’t make up for the film’s lackluster style and off-balance tonal shifts. As much as the direction felt uninspired, the script by Fergal Rock was probably the film’s biggest stumbling block. The entire foundation, where the conceit is seeing two characters with opposing viewpoints come to evolve into stronger people by the end, contains predictable story beats that struggle to feel distinct. Calvin and Skye occupy typical character types of the artistic loner and the energetic yet damaged dream girl, and nothing in the screenplay truly breaks free of those stereotypes. Their friendship also never seems like it has a natural progression, which makes their dynamic feel that much shallower. Williams is clearly a talented young performer, as anyone who watches Game of Thrones can attest. One does appreciate the level of energy she brings to the role, and it is quite amusing to watch her traverse from fun to melancholy. It’s a shame that her character only touches on the surface of these emotions, but she does her best. Butterfield, however, is an actor I’ve increasingly become frustrated with as he plays yet another character who is incredibly shy and isolated and trying to come out of his shell. He plays this character in a similar key that we’ve not only seen in other films but in practically every role he’s played before. There’s nothing new in his monotone delivery and his presence was the most irritating. There’s also little chemistry between him and Williams, which is another detriment to the film. Outside of these two leads are capable actors filling roles that offer very little characterization. Nina Dobrev plays a flight attendant named Izzy who indulges in a burgeoning romance with Calvin, but one struggles to identify why she could be drawn to such an uncharismatic guy in the first place. Again, she’s fine in a role that demands very little. The only people in this cast who truly make an impact are Ken Jeong and Briana Venskus, who play a pair of endearing police officers sympathetic to the plight of the protagonists. They are disposable characters but add an incredible amount of comic relief that was quite appreciated. You smile every time you see them and they are by far the best and most memorable elements of this film. At the end of the day, there is nothing offensively awful about this film, but its worst sin is how bland it comes across. There is certainly an attempt to tell a heartwarming story about grief and friendship, and occasionally some sweet and endearing moments peek through. However, it is all delivered rather flatly and that causes friction when wanting to become invested. The actors range from charming to deadpan, but nobody really elevates the material in a meaningful way. There are definitely interesting stories that can still be told dealing with this subject matter. Unfortunately, I did not find this to be one of them.